Dell started implementing the world’s first hybrid tablet computers Latitude 7285, support wireless charging technology. It should be noted that the laptop can be bought in basic configuration, without additional options, wireless charging and keyboard. In this case, the buyer will pay “only” $ 1200 US. Option wireless charging available with a special, detachable keyboard Charging Keyboard Wireless ($380) and docking station Charging Mat in the form of a Mat ($200). Kit can be purchased for $ 550. If the user wishes to purchase the traditional, snap-on keyboard with an extra battery, this purchase will cost $ 250. Base convertible notebook is equipped with a 12.3-inch display Sharp IGZO 3K (2880×1920 pixels), Intel Core i5-7Y54 (possible delivery with i7), 8 or 16 GB of RAM and a storage capacity of 128 GB (advanced configuration — 256 and 512 GB). Of the ports there are two USB Type-C/3 Thunderbolt, card reader, 3.5 mm audio Jack. Available support Wi-Fi (802.11 ac), Bluetooth 4.2, Miracast, and WiGig. There are 8-megapixel main camera, front with support for 720p video and Windows Hello. The weight of the laptop is 675 grams with dimensions of 273.2 x 208.5 x 7.8 mm Operating system — Windows 10 Home. Technically, the charging is via a snap-on keyboard if you install it on a special Mat. There are also limitations to the table, if the top of the metal, to use a wireless system, you should create a 5 cm dielectric buffer between the carpet and the metal surface. 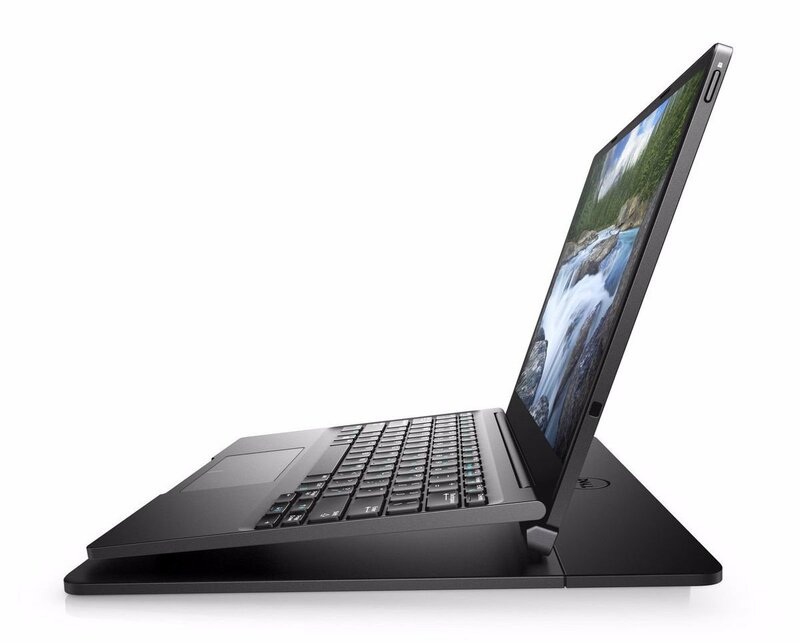 You are reading an article on the Dell Latitude 7285 — the world’s first laptop with wireless charging (10 photos). All materials on the site Gadgets F, а также и статья Dell Latitude 7285 — the world’s first laptop with wireless charging (10 photos) - written for the purpose of information enrichment and we are happy if you like our magazine. Review Monster Clarity HD On-Ear: true wireless sound!